15 Dec and aren't we adorable! 8 Dec and we have chicks! They are so beautiful and precious...wow. 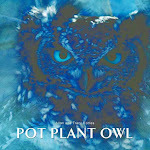 Did you plant the pot plant toward the corner, so PPO would have room to nest?